I have a beautiful Medinilla which is flowering at the moment. The blooms are a delicate pink, developing to deep purple and burgundy berries. This morning I discovered that something had deposited what looked like big blobs of foam on the branches. When I Googled “white foam” I learnt that this is a symptom of several nasty medical conditions which thankfully I don’t have. 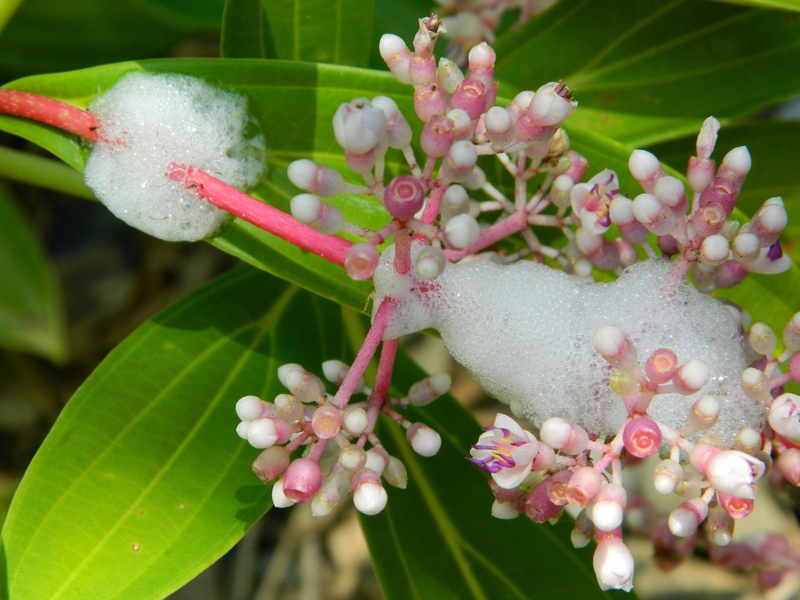 And when I added “plant” to the search string I discovered … Spittle Bugs! 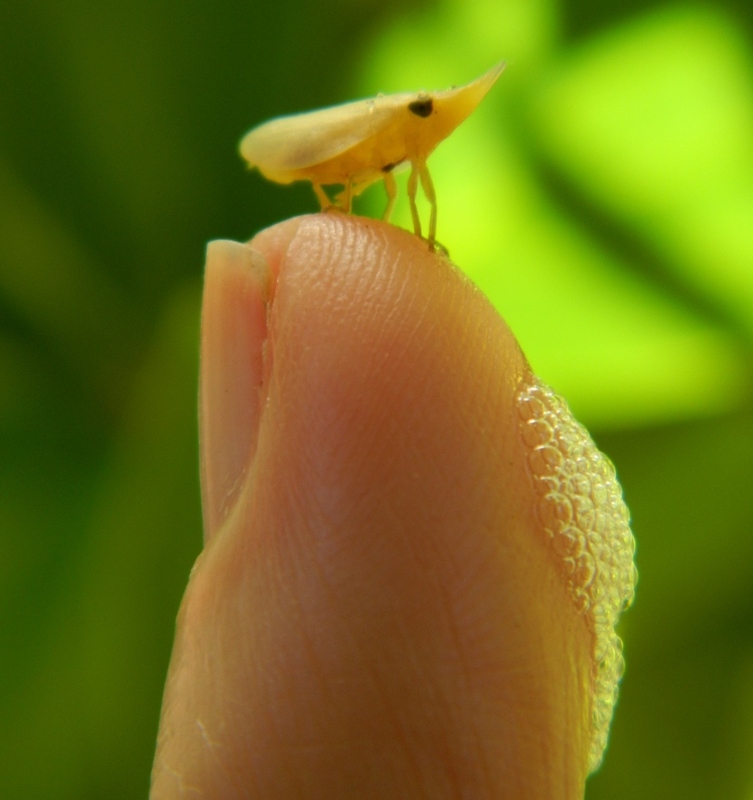 It seems that the nymph stage of this little bug lives within a white, frothy secretion that resembles spittle (hence the name). The nymphs shelter and feed beneath this foam. The spittle is formed by air being taken into an abdominal channel and then expelled through the excreta, forming bubbles. I once knew someone who could do something similar with their eyes … a very disturbing party trick! Next What to do with a Finger Lime ?